Happy New Year! I hope you had a great one. New Year’s Eve is my favorite holiday and I always make it a priority to have something memorable going on. My evening was spent with my family in Manitoba and it was relaxing and fun filled. We did a lot of cooking and a lot of eating over the weekend, including a New Year’s Eve BBQ feast and a New Year’s day turkey dinner. The next day, I was feeling inspired to create something with the turkey leftovers and decided my crew needed to experience the wonder that is French bread pizza. 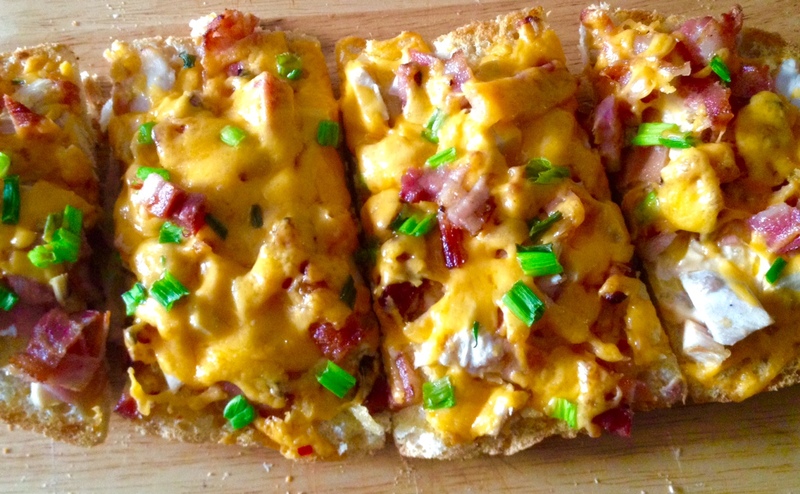 Yes, another year, another French bread pizza. I just can’t quit them. I layered the French bread with the leftover turkey, bacon and cheddar and I used a chili aioli as the sauce for a little zip. It worked perfectly but regular mayo would be fine too. These were so fab. Everyone LOVED them, especially the boys. They made for a perfect easy lunch for all of us. I know everyone’s jumping on the diet train right about now but why don’t you give these a whirl first? It’ll be our secret. Cut the loaf of bread in half and place on a large cookie sheet. Spread the aioli evenly over the bread. 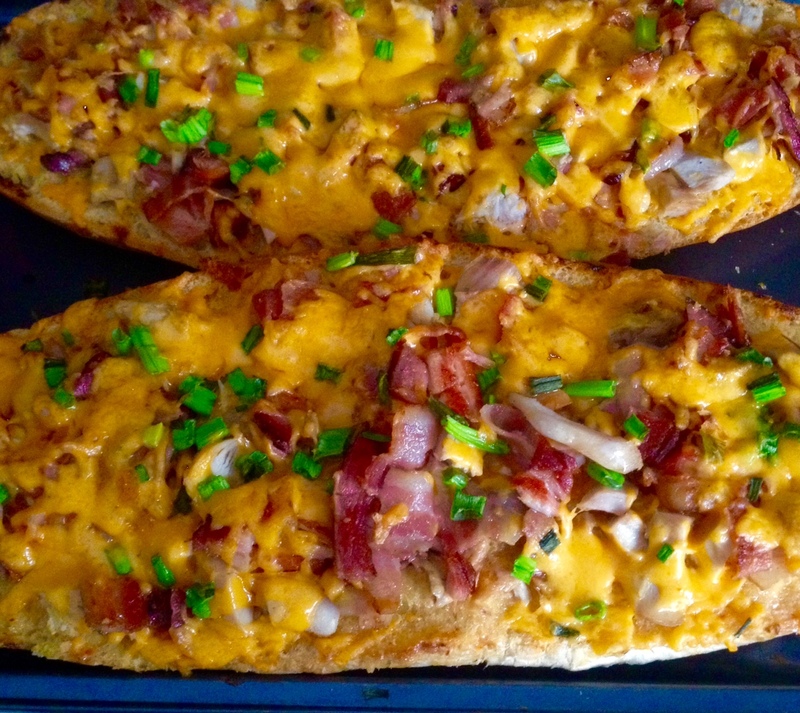 Sprinkle each loaf with the turkey and bacon, then finish with the cheese and green onion. Bake for 10 minutes and then broil for 2 minutes. Once cheese is bubbly and golden, remove from the oven. Wait a few minutes for them to cool, then slice and devour.